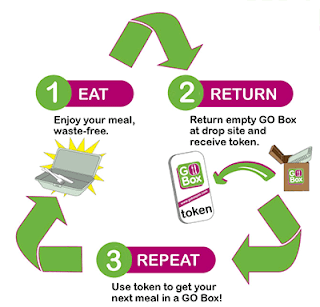 GO Box is the first reusable take-out container system available to the public that makes it easier to avoid the single-use disposables we encounter on a daily basis. With GO Box, your meal is served in a BPA-free, durable, and reusable container that is dishwasher and microwave safe and will be recycled at the end of its life. Now, you can eat your lunch and love the planet too!